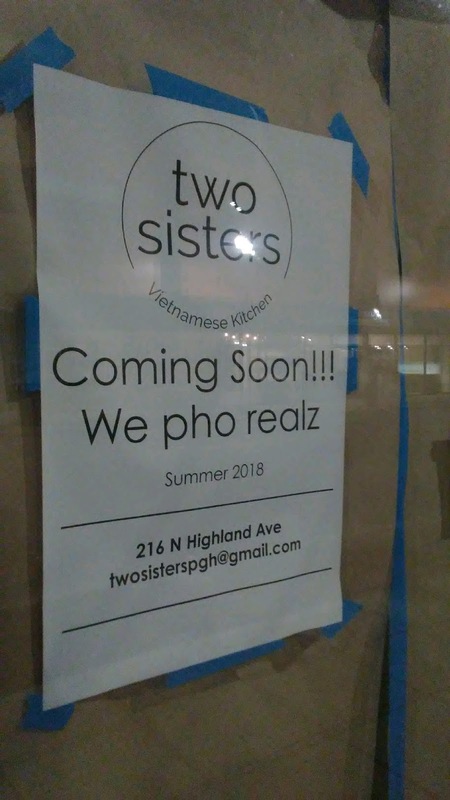 PennsylvAsia: "We pho realz": Two Sisters Vietnamese Kitchen coming soon to East Liberty. "We pho realz": Two Sisters Vietnamese Kitchen coming soon to East Liberty. Two Sisters Vietnamese Kitchen, a new Vietnamese restaurant, is coming soon to 216 N. Highland Ave. in East Liberty (map).